This is a quick reminder that the first section of Painted Daisy (Monday’s post) will be available to download on Monday, March 21. Get your fabrics ready, get set….let’s sew. Is it still possible to get the free pattern download for the painted daisy block? I can’t find it anywhere. 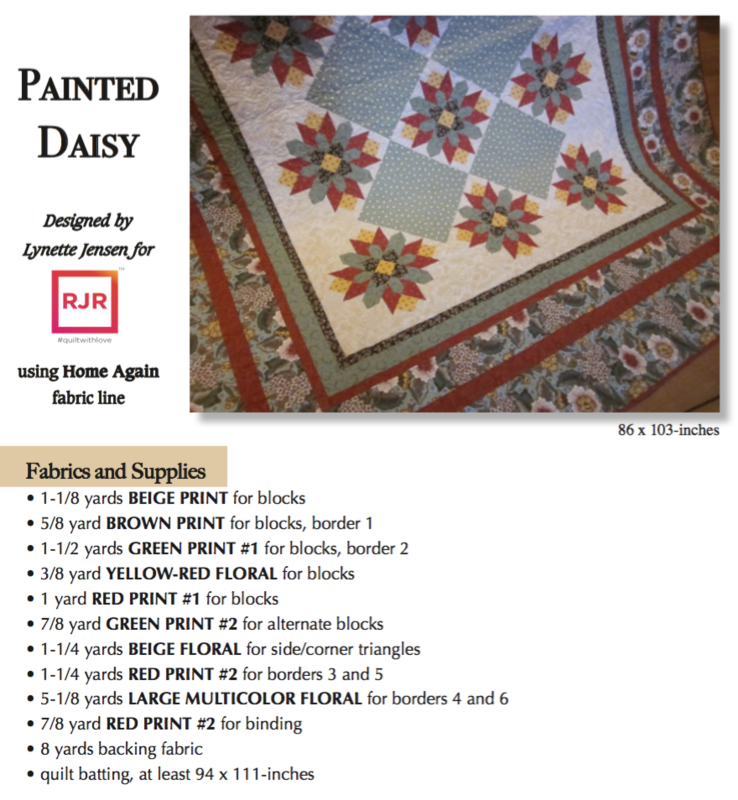 The Painted Daisy block pattern is in March and April 2016 archives. You can also find it by typing in the Search bar (on the right hand column) Painted Daisy Blocks. Thank you! I found it. I think I was just having a blonde/gray moment. I am making my granddaughter a twin size version of this is pinks, grays & black for her 13th birthday. Again, Thanks!! So happy to have found your website. I joined your newest project in Craftsy and am having so much fun with that pattern. Thank you so much for sharing and look forward to hearing more from you. I think the Garden Charm quilt is really a great design and would really be fun to make again with a different fabric collection and by eliminating the appliqué and putting stronger fabric choices in that specific border area would really make a totally different quilt and a fun alternative. Think you might be up for another round? I’m so glad you are designing again, I attended your program in Colorado several years ago and loved it. 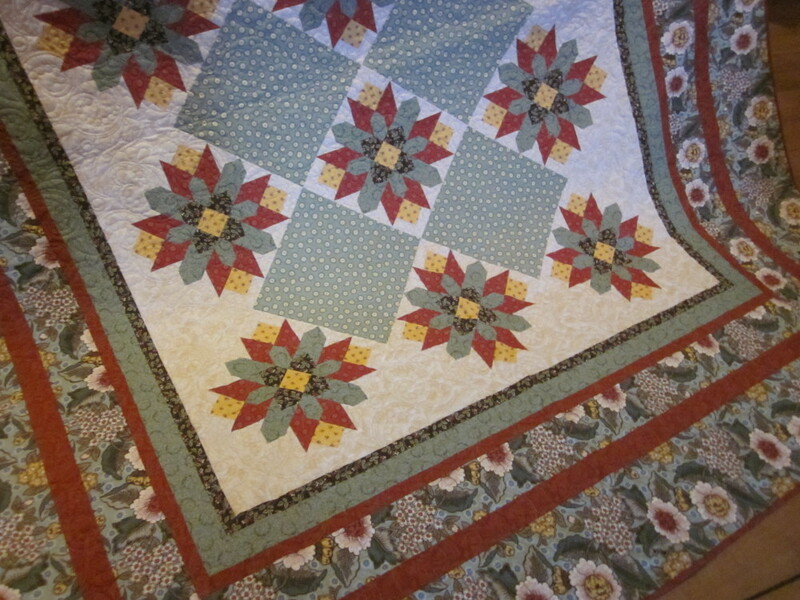 I can’t find the first download for the Painted Daisy quilt today. Colorado was a long time ago. Please check again…it should be there. I have heard from others that they have it. I’m so glad that you are back at designing fabrics and quilts! 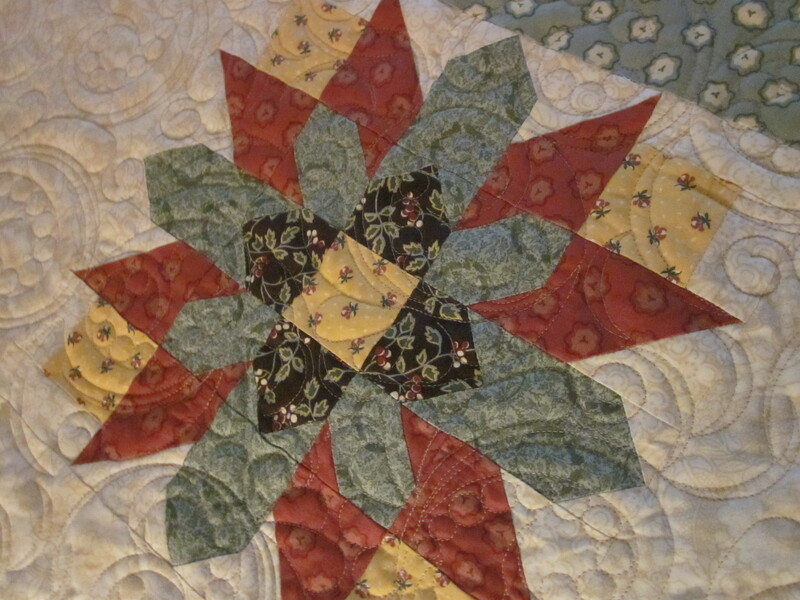 I began quilting 12 years ago because of your quilts and fabrics. As I was going through my scraps last night I came upon some of your very old fabrics and wished they were still available. Will you ever be bringing back any of your old fabrics in future fabric lines? I remember buying up all your books and wishing the fabrics in those quilts would still be available. The colors and prints in those fabrics had that vintage look (I believe you used the word patina when describing them). Too many flowers and cutesy things now. Anyways, just putting it out there that I would buy loads of any new fabrics you put out that were”reproductions” of your first lines!